Nadav Nirenberg: Teaser Track from Ikebe Shakedown's upcoming record! Teaser Track from Ikebe Shakedown's upcoming record! 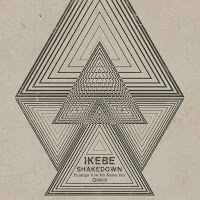 Ikebe Shakedown - "Tujunga" b/w "No Name Bar"
You can now stream the final version of my afro-disco tune "Tujunga" from Ikebe Shakedown's self-titled sophomore release, courtesy of Ubiquity Records (Orgone, Breakestra, NOMO, etc.) We recorded this at Dunham Studios with Tom Brenneck (Dap-Kings, Budos Band, etc. ), who also lent his late-night synth talents to the end. I'm looking forward to my second songwriter credit on a 45! The first single (Tujunga b/w No Name Bar) will be released on May 10th, and the full-length CD/LP "Ikebe Shakedown" will drop on June 7th. Back from Australia, off to Europa!